The Master Lock No. 483 Rotating Gate Valve Lockout Device features a 70mm depth and 89mm stem opening for 15,2cm to 25,4cm diameter valve handles to surround the valve operating handle to protect against accidental valve opening. 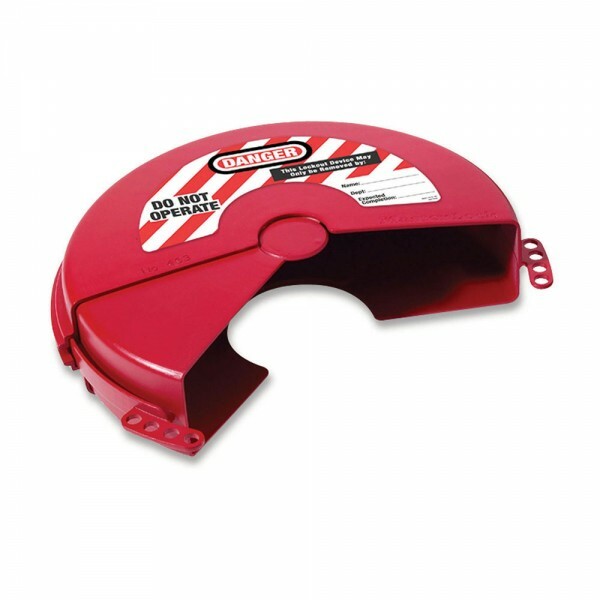 The unique, patented rotating design allows for easier installation in confined space applications. Tough, lightweight, dielectric Zenex™ Thermoplastic body withstands chemicals and performs effectively in extreme conditions. Includes high-visibility permanent safety labels.